Book Review - Victorian & Edwardian Motor Cars (By David Scott-Moncrieff) This is another of my internet finds, one of those books that have found their way via a charity shop or house clearance onto the final seller, usually one auction site or another. There are bargains to be located in such places and this book certainly was at under £5.00 delivered and it offers an insight into veteran cars written in what we would now consider a bit of a vintage era. Published by Batsford in 1955 it covers the period of the true pioneers from 1904-1914, real dawn of motoring stuff and cleverly moves from year to year explaining the advances in motoring from all angles; how the French and American embraced the automobile, whilst at home early enthusiasts were a real unloved breed, considered the scourge of society in some cases; the birth of motorsport and the brave pilots who chased glory and speed records but detailed with a lot more information than many modern books on the subject. 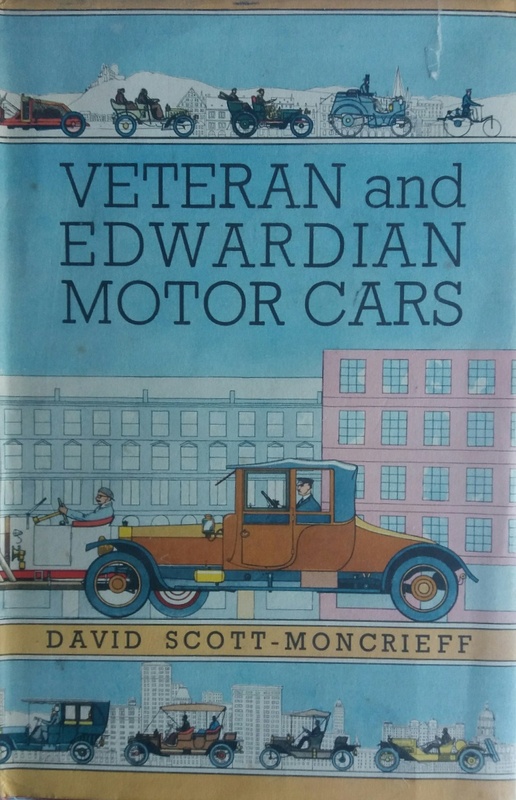 The author Scott-Moncrieff who enjoyed a typically ‘in-period’ nickname of ‘Bunty’ was an engineer educated at Cambridge and spent much of his life in and around the motor trade, mainly to be around motor cars. He raced during the pre-war era and went on to write several motoring books including ‘The Three Pointed Star’ the story of Mercedes Benz, then Escape from Peace, around the same time. A review of this very book was written on release by The Spectator and seems more relevant now than during the mid-50s… ‘Mr. Scott- Moncrieff has the advantage of a consistent approach; he writes about pre-1914 motors very much in the vein of the people who write about period furniture; to him, they are works of art. 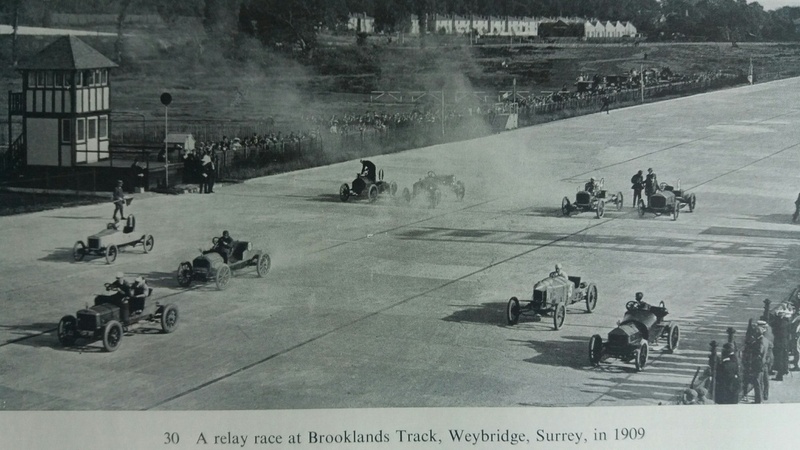 This will seem quaint to that section of the public who automatically laugh at old motor-cars, and refer to the London-Brighton run as the old crocks' race; but Mr. Scott- Moncrieff makes his attitude seem valid even after the book is closed’. Rare black and white images make the purchase worthy on their own but once 1914 has been reached the book then continues with an in depth listing of every manufacturer of the era; what the cars cost to buy and then run in the UK, plus motoring fashion and accessories, this market being particularly buoyant during the Vintage period. In 1904 Autocar magazine produced a detailed listing of every car available in Britain for that year both home built and imported, this was reproduced and included within the book. No matter how well versed the reader maybe in the history of motoring for this period, there will certainly come a point where the phrase ‘I didn’t know that’ will cross your mind; I found plenty of such examples. Before 1896 UK motorists not only had to deal with the red flag but also paid a £10 licence for each county they visited and crossing any bridge required written permission. majority of cars featured ‘hot-tube’ ignition until the late 1800s. Using a platinum tube with one end inside the combustion chamber the other would be heated via paraffin burner. Electric ignition although far superior was totally unreliable until after the turn of the century. By 1904 shaft drive was becoming more popular than chains and motorists enjoying a modest 10hp car found running costs had dropped to 3 pence per mile over 7k miles driven with tyres, the costliest outlay. This was still cheaper than running a horse and trap during the period. The first bumpers were patented by engineer F R Simms and in 1905 were made of rubber whilst the same year the American market was booming with 24k cars built and to ease sales, hire purchase was offered.